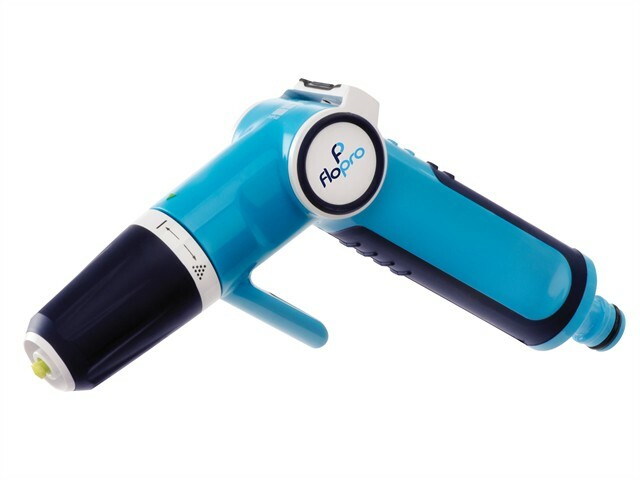 The Flopro + Vergo Spray Gun has a lightweight, ergonomic design with 2 spray patterns. It has been specifically designed with comfortable use and effective watering in mind. Water flow is fully adjustable with one hand, from single stream through to delicate mist. The spray gun is fitted with a handy hanging hook and the connectors allow a ‘Snap Fit’ and ensure easy connection to all major watering brands.